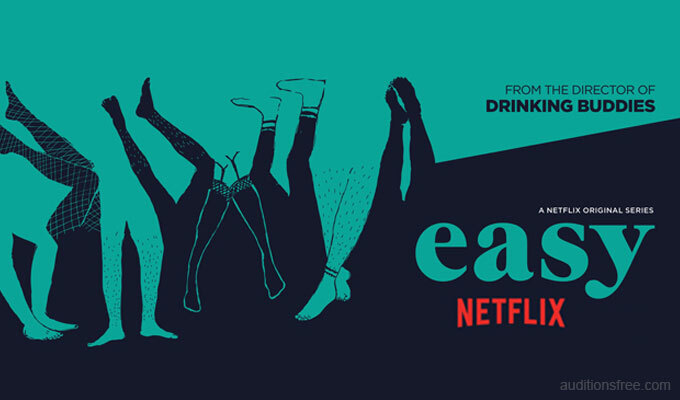 The Netflix anthology series Easy is now in production in Chicago and casting directors at 4 Star of Illinois have a casting call out for TV show extras. that explore topics such as technology and romance. The show’s cast include quite a few stars which include Hannibal Buress, Orlando Bloom, Emily Ratajkowski and Dave Franco. We are looking for these exact looks, if you don’t fit the description, please do not submit! *This is the last week of filming for EASY! If you are interested in working the show, submit now! 6) If you have previously worked on EASY, please include when and which role. Confirm if you were seen on-camera.